In the new year I visited design trade shows, Heimtextil, Deco-off and Maison Objet, upon my return home I was invited to give a trend talk at the opening of NYNOW. During the talk, I shared the best sources and ideas we culled over the last year, predicting five design trends for the home for 2017. There are movements that continue to grow in their popularity, and here is the 2017 trend slideshow recapping the talk. The first trend I named was Planetary Bean. The catchy phrase explains our collective love for nature and natural materials. 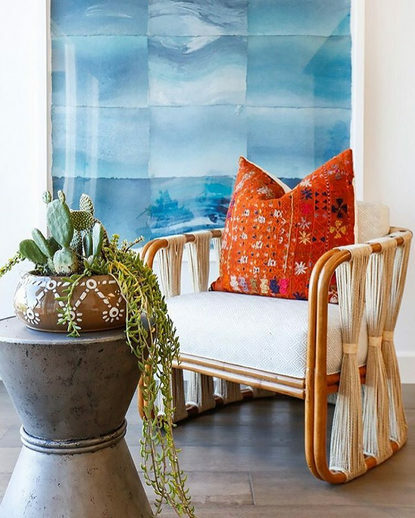 This is a continuing trend that looks to a love and passion for hand made items culled from nature-- think bamboo, rope, wicker, rattan and all those nubby, beautiful materials taken straight from the natural world bringing rich texture, neutral colors and hand made work to our homes. We are happy to share our most recent favorite products utilizing these natural materials. Some of these items I have specified for my clients, have in my own home or certainly look forward to seeing more of their inspiration in the year to come. 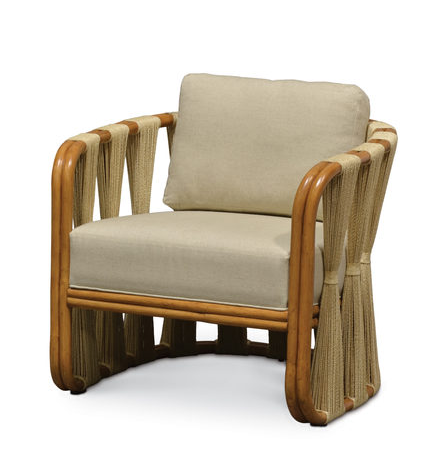 1. the the square back lounge chair, rope collection by John Himmel is made with all natural palm materials that is hand braided to a flat rope then woven onto a hardwood frame. 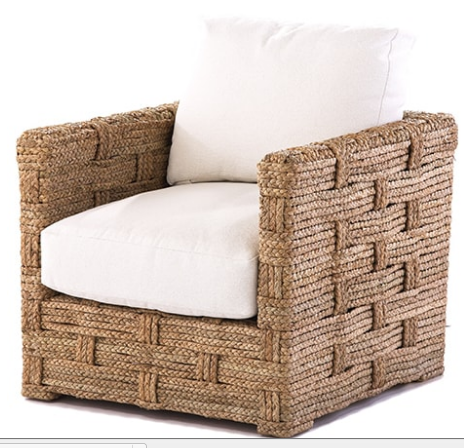 The design is perfect for a multitude of spaces whether a coastal beach cottage or an urban dwelling. It is refreshing to note, the company grows and harvests their own material from the Madoura islands in Indonesia. 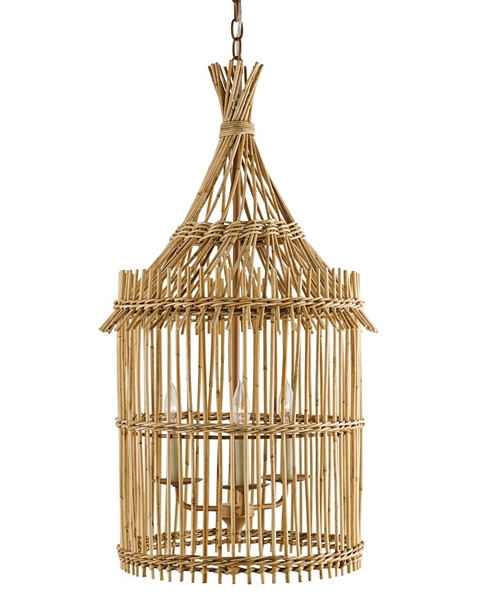 2. exotic and stylish, the tobago lantern by Currey and Company is made from natural bamboo and channels the traditional huts built on tropical islands. 3. the bartlett raffia nesting tables by Serena & Lily is one of a series of raffia-wrapped pieces. 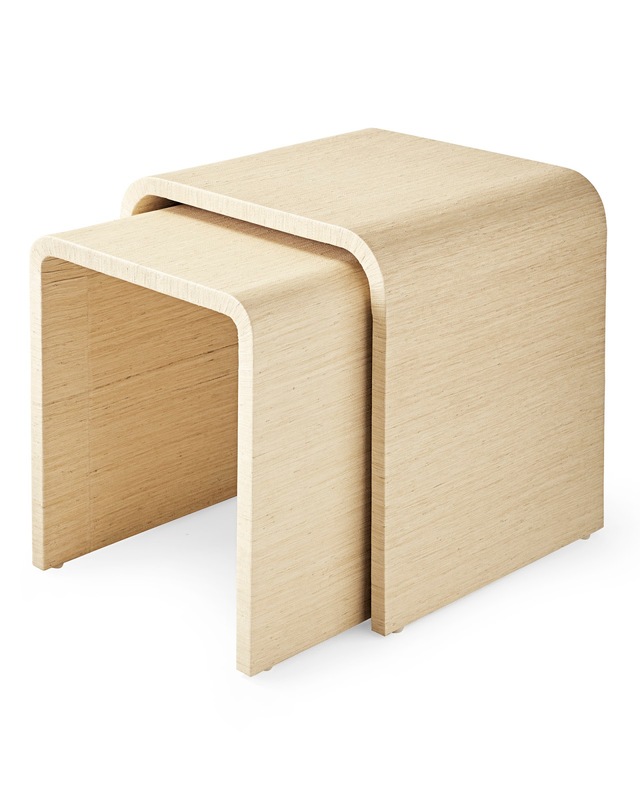 This lovely nesting combo has rounded corners and a slim shape. 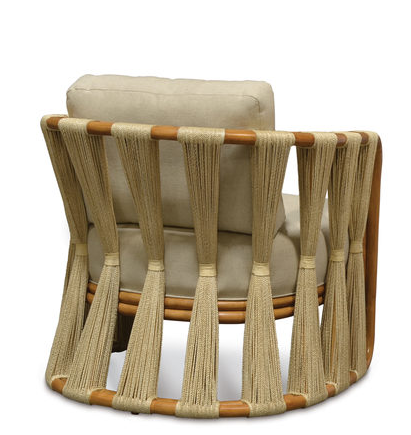 The raffia and thread are woven together in opposing directions for a slightly nubby texture and a modern silhouette. 4. the strings attached lounge chair by Palacek takes a double pole rattan frame and adds an extra dose of creative and natural by wrapping it with natural abaco rope and leather binding. 5. We love that Ikea continues to deliver utilitarian wares and edgy, stylish pieces, and all on a shoe-string budget to boot. This JASA room divider is made of natural material, then with a protective lacquer finish, it is one stylish piece.